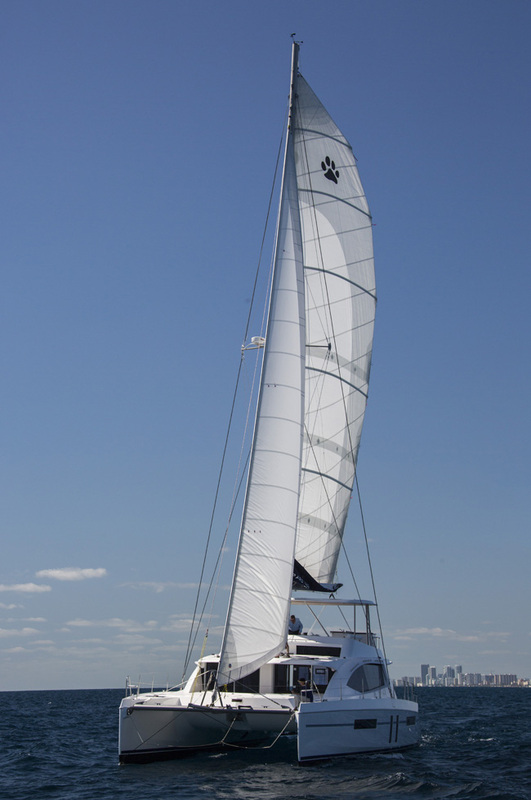 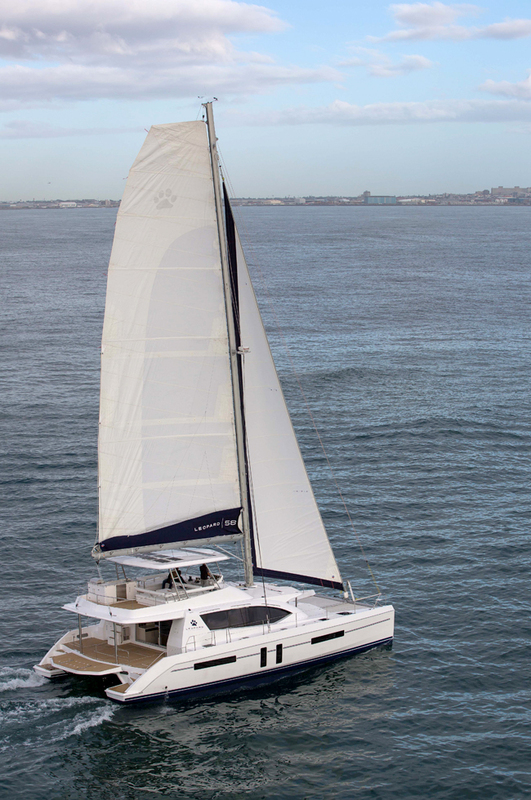 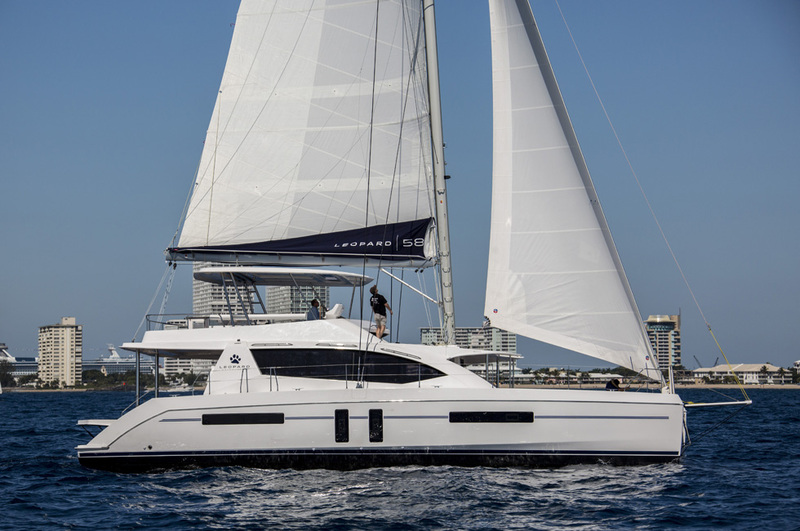 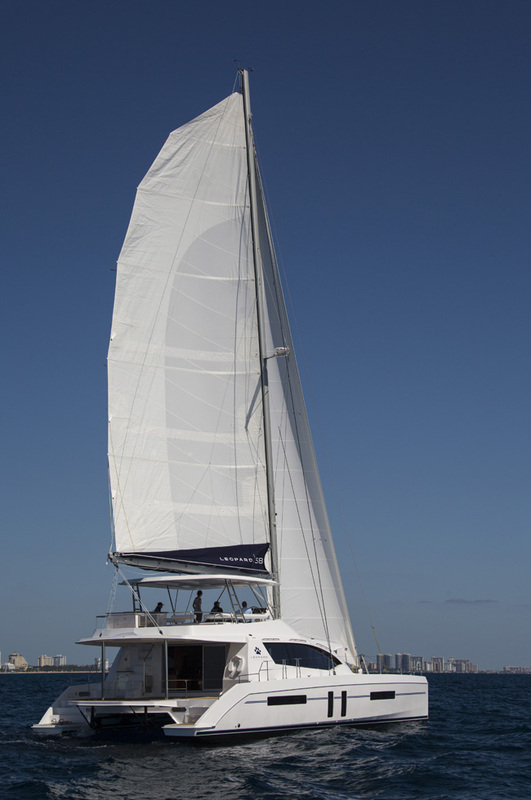 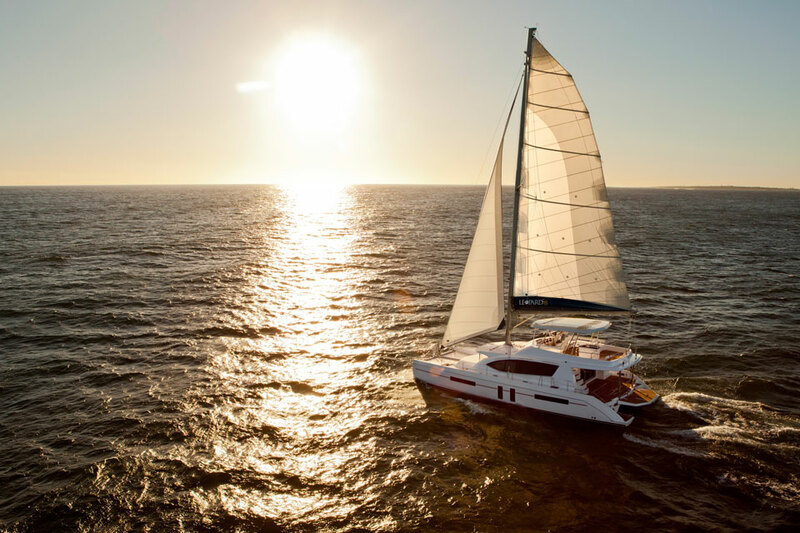 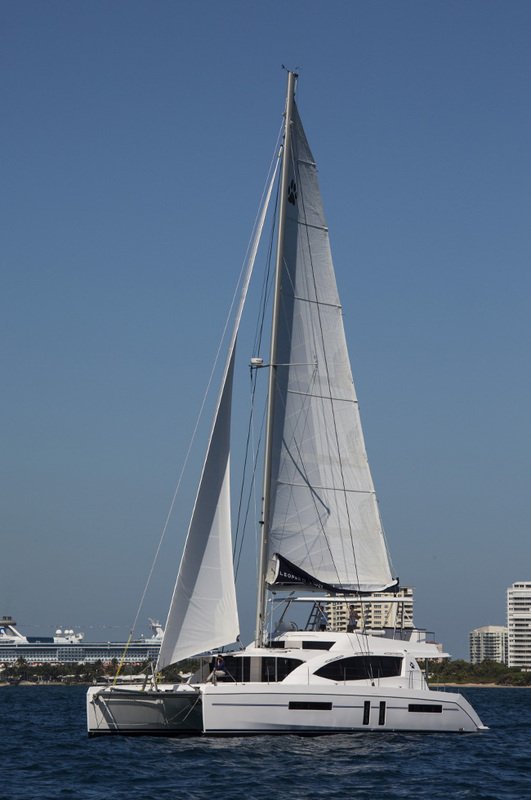 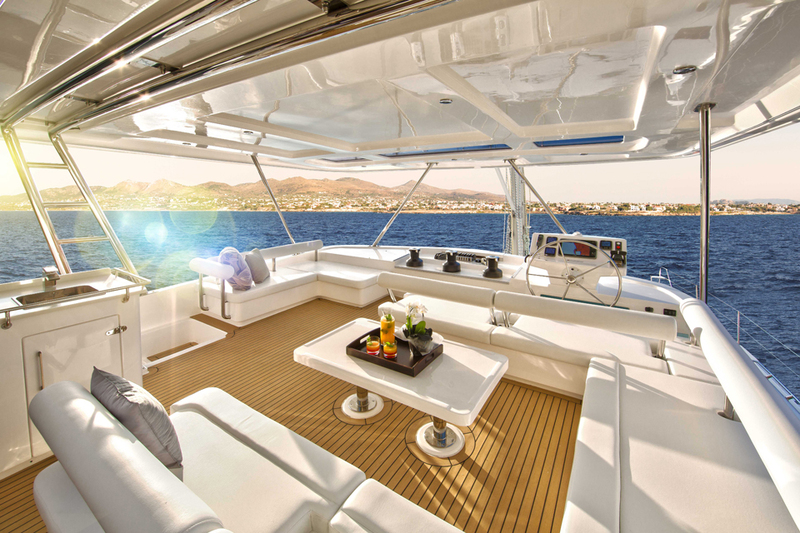 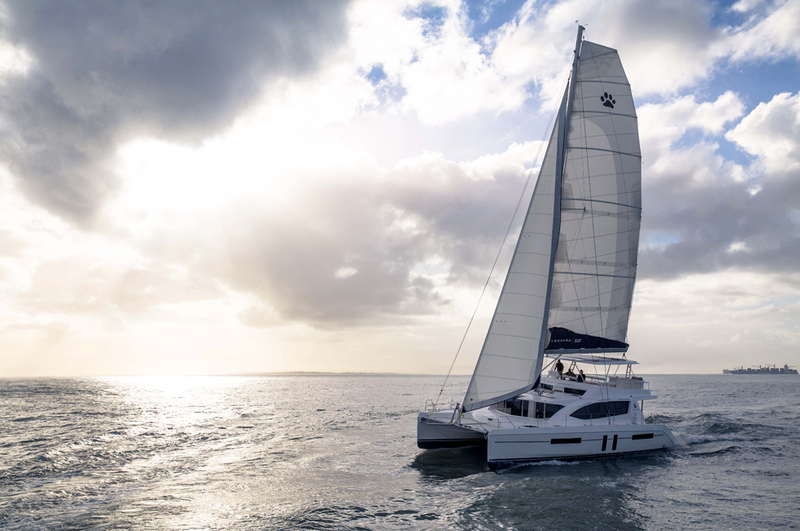 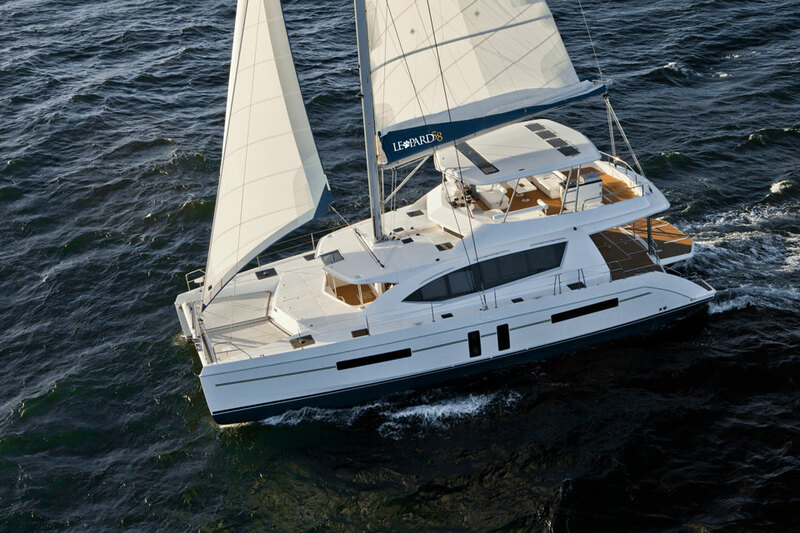 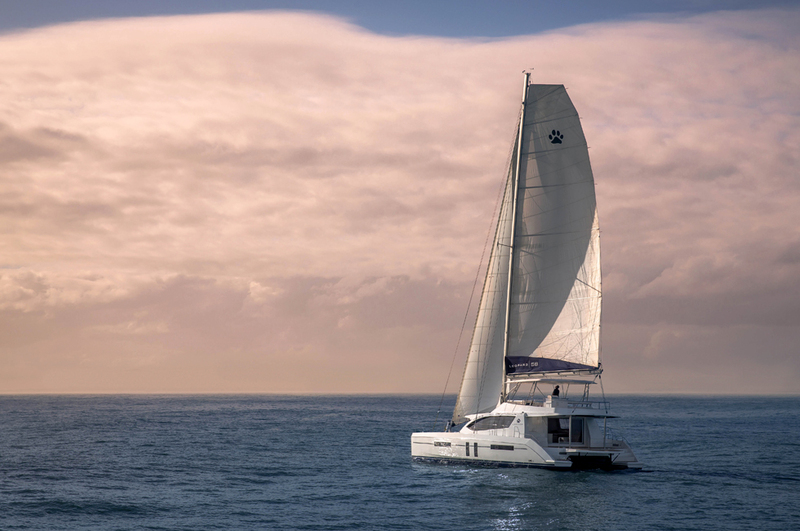 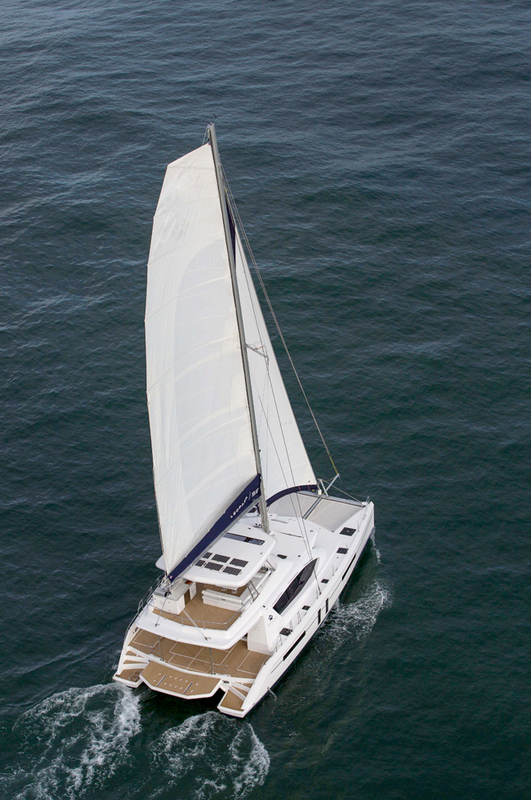 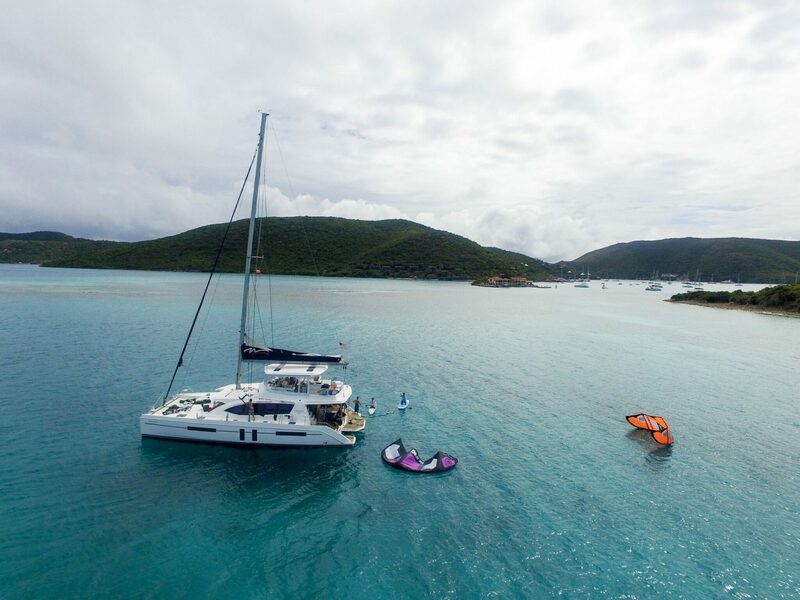 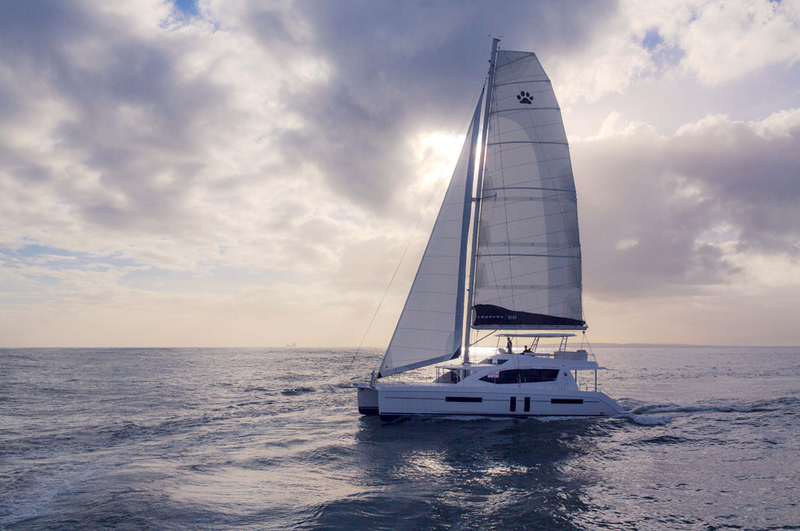 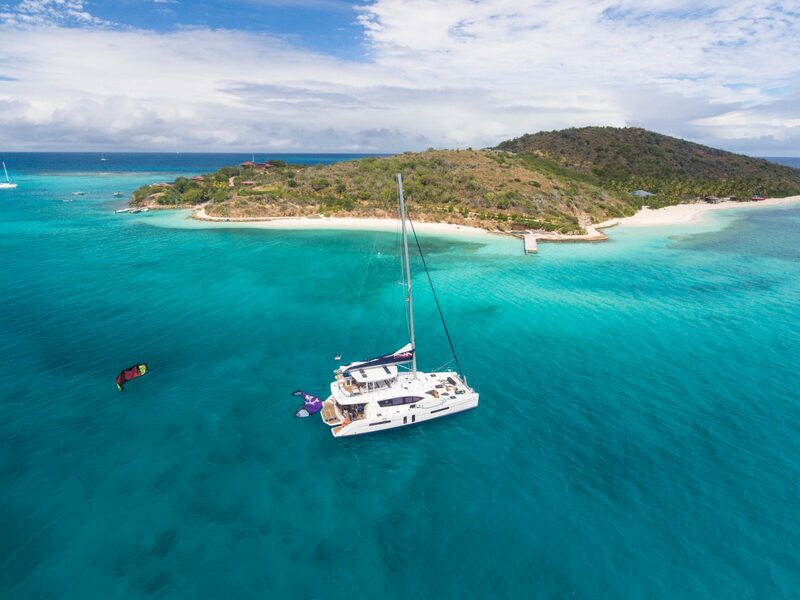 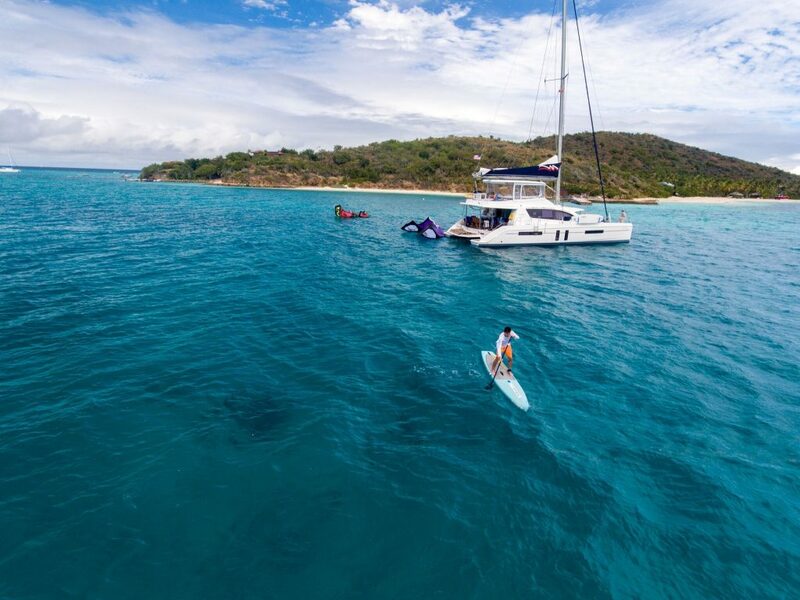 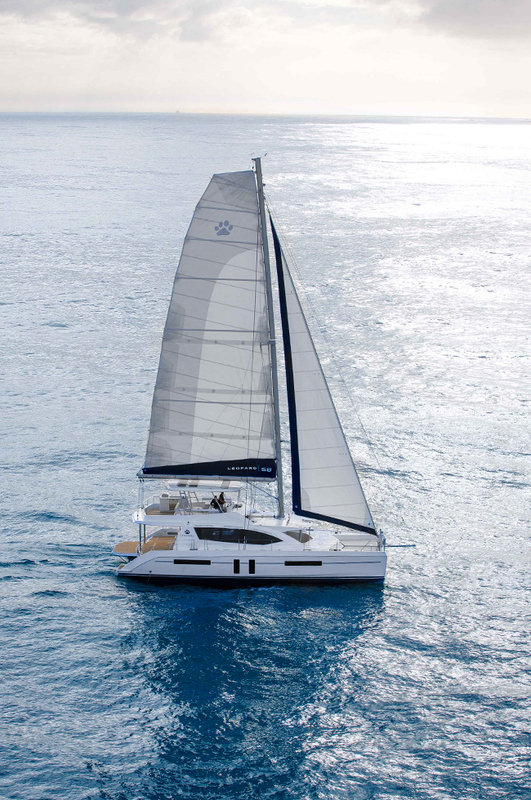 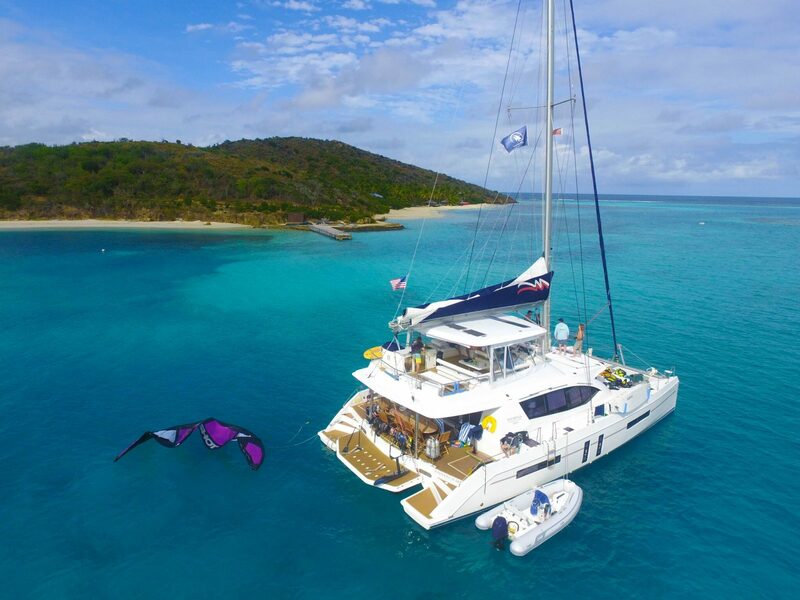 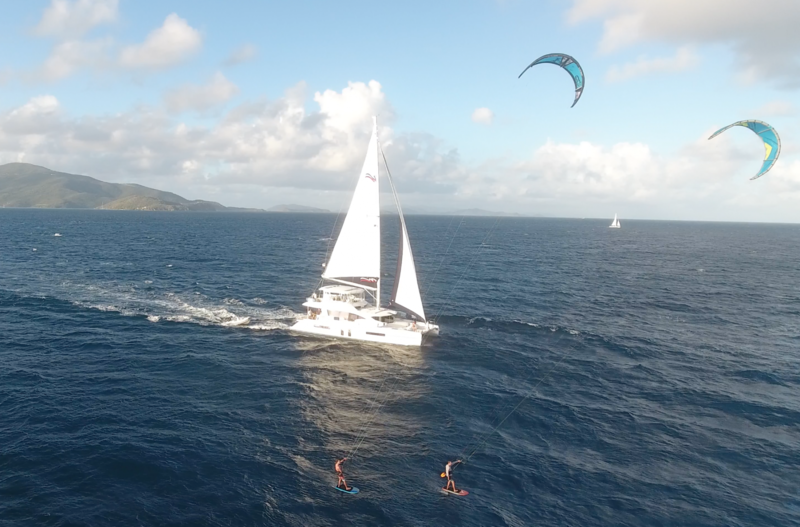 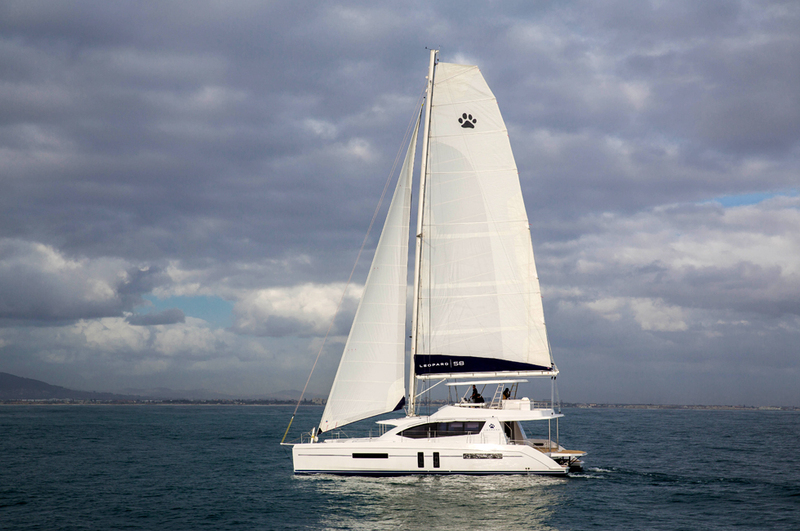 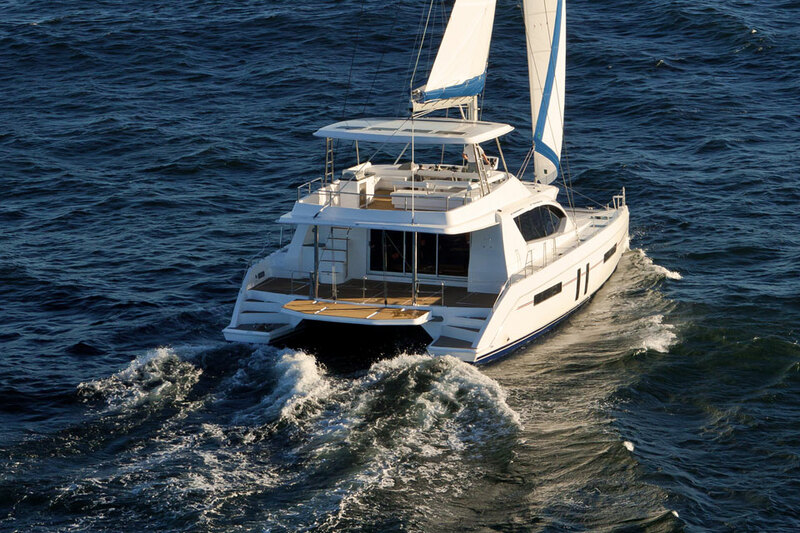 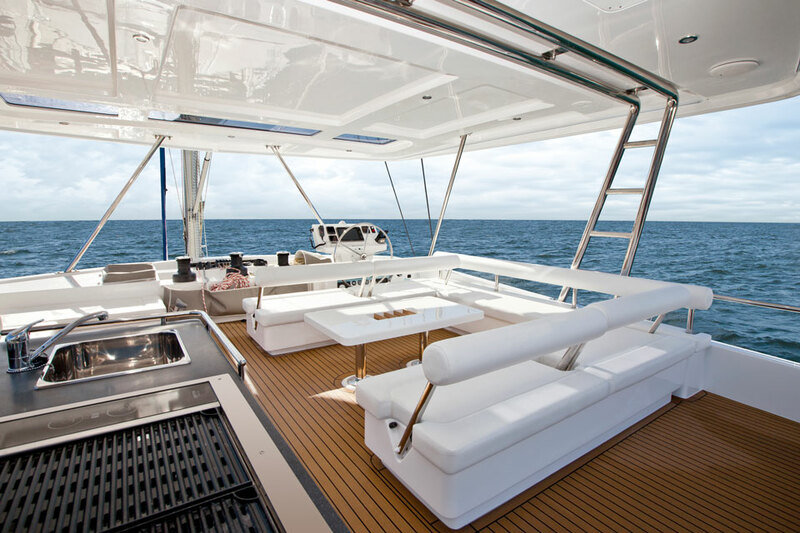 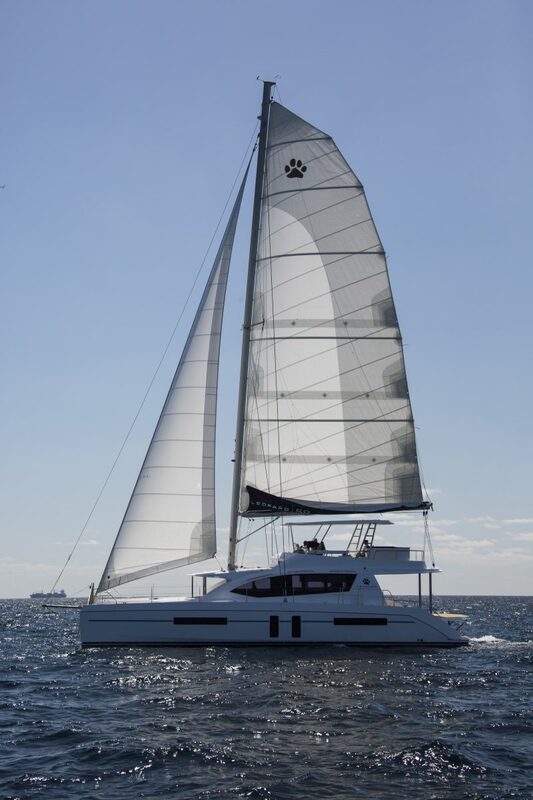 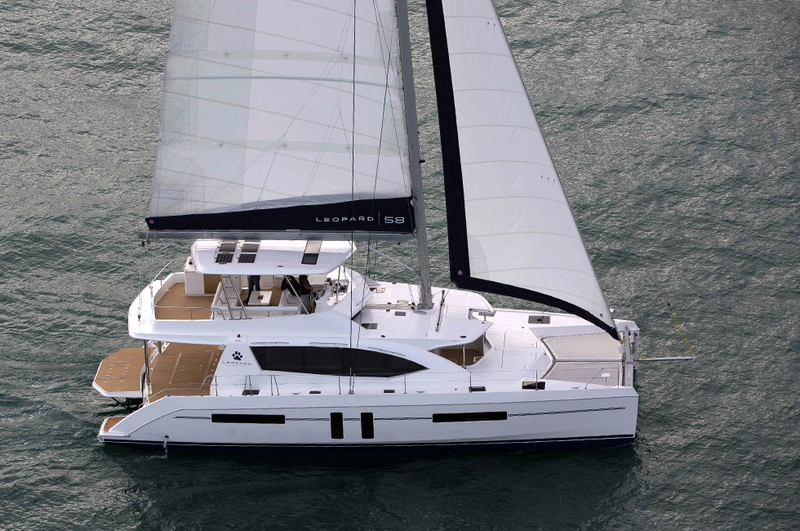 Poseidon's Pearl is a 58' Leopard sailing catamaran designed by Robertson and Caine. 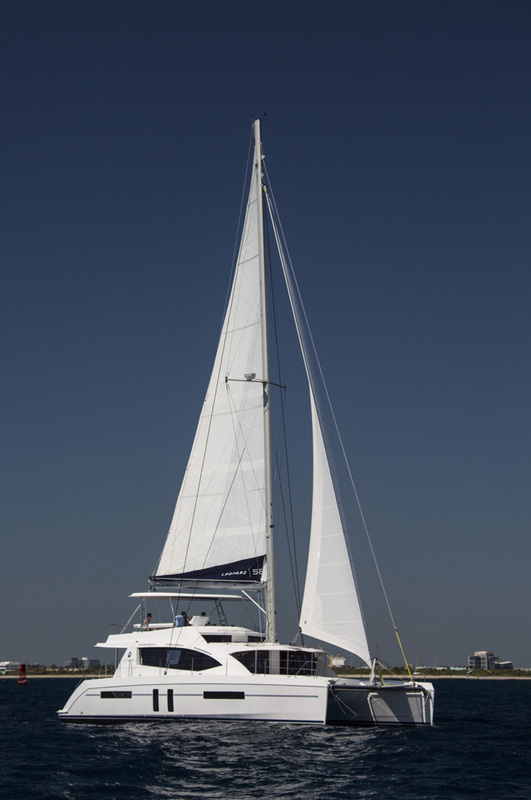 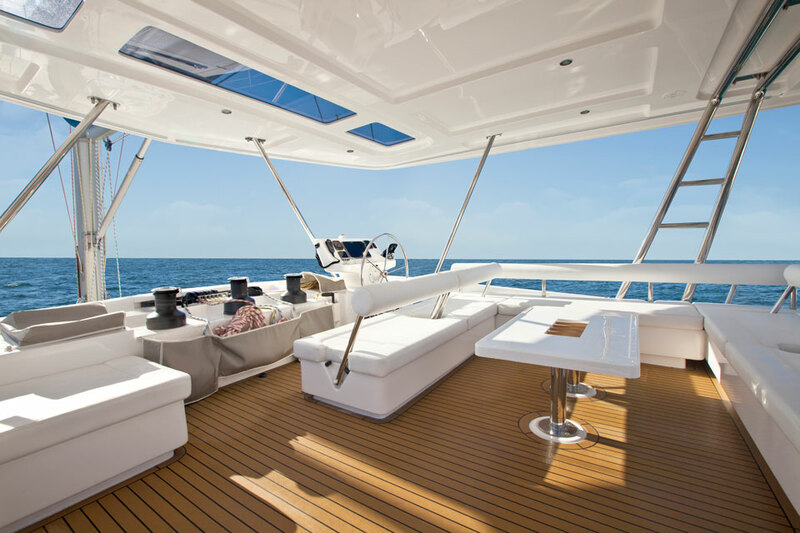 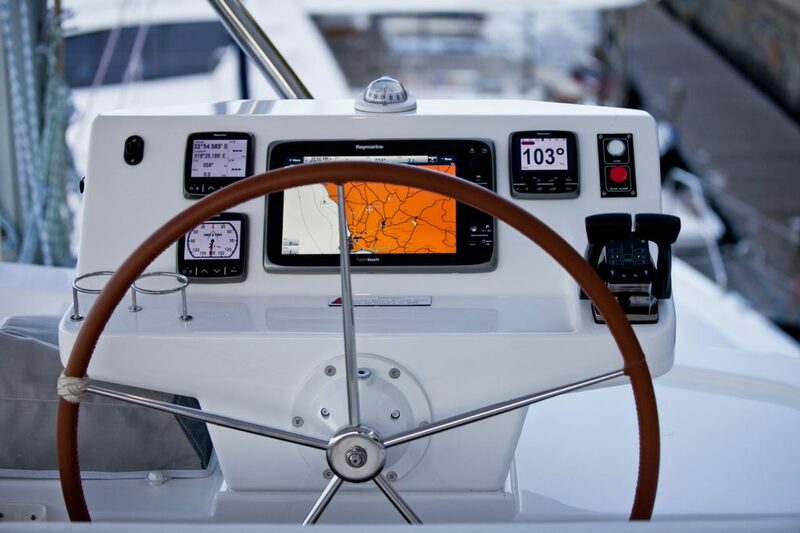 The flagship model of the Leopard fleet, the 58' was designed specifically as a charter vessel. 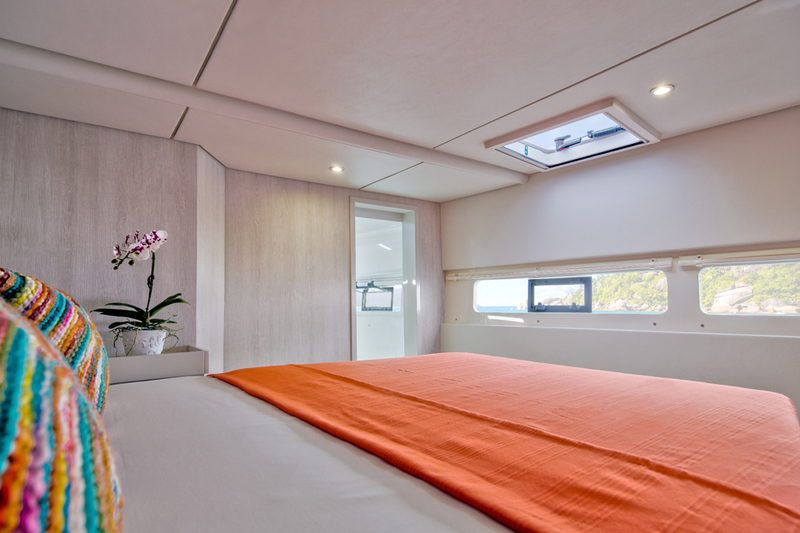 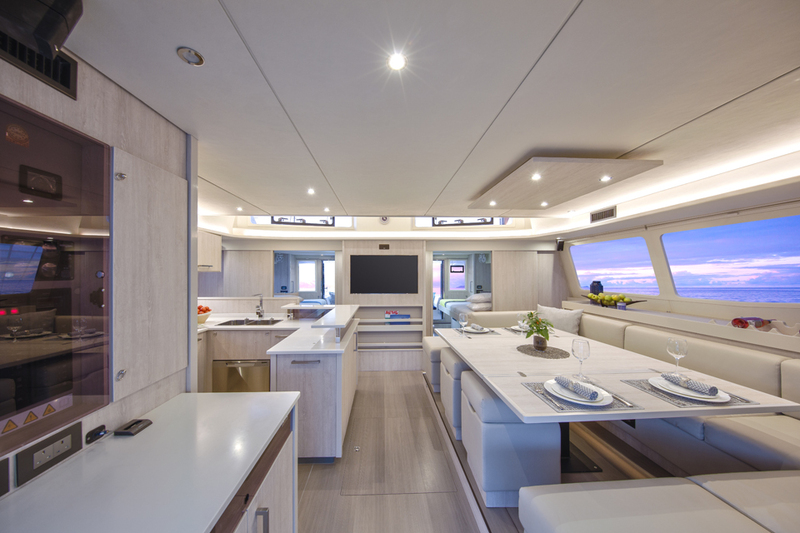 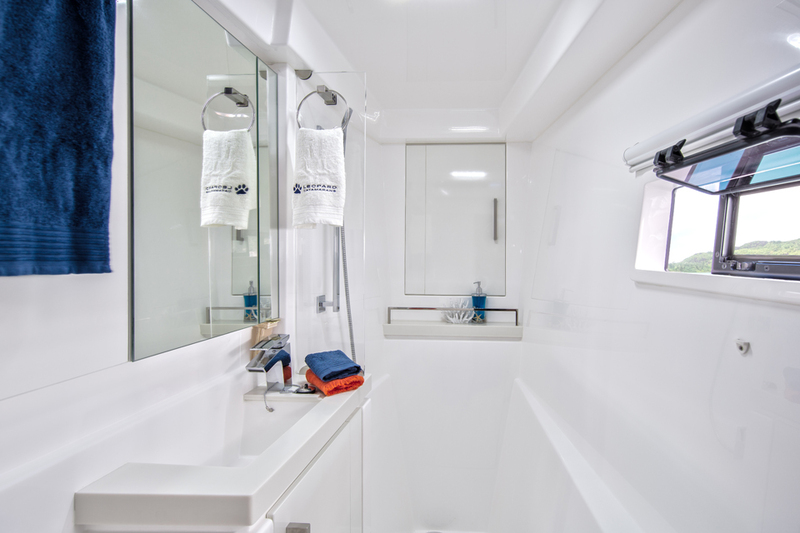 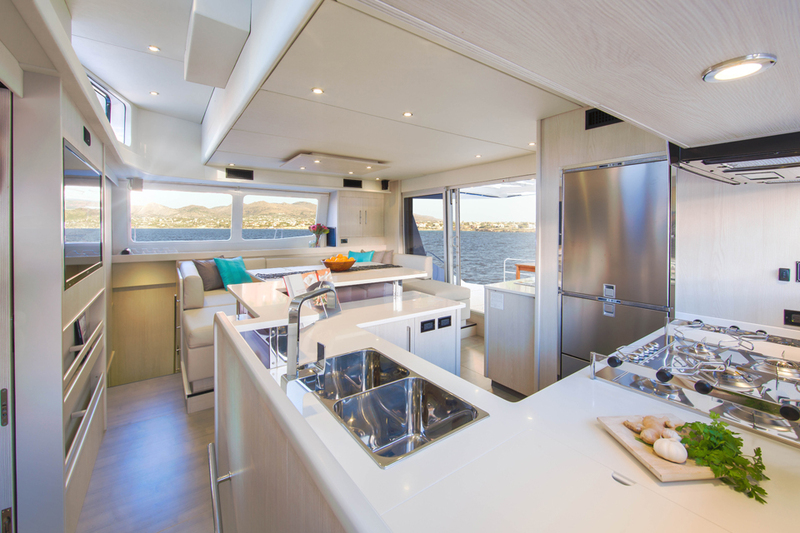 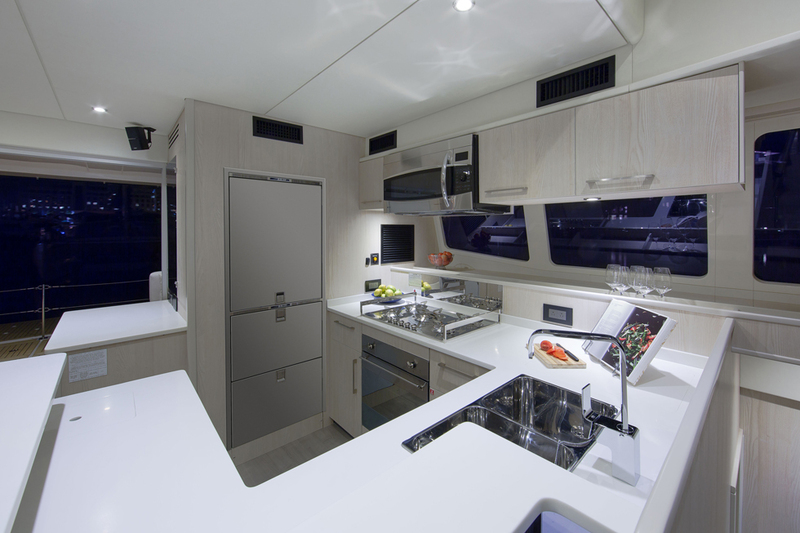 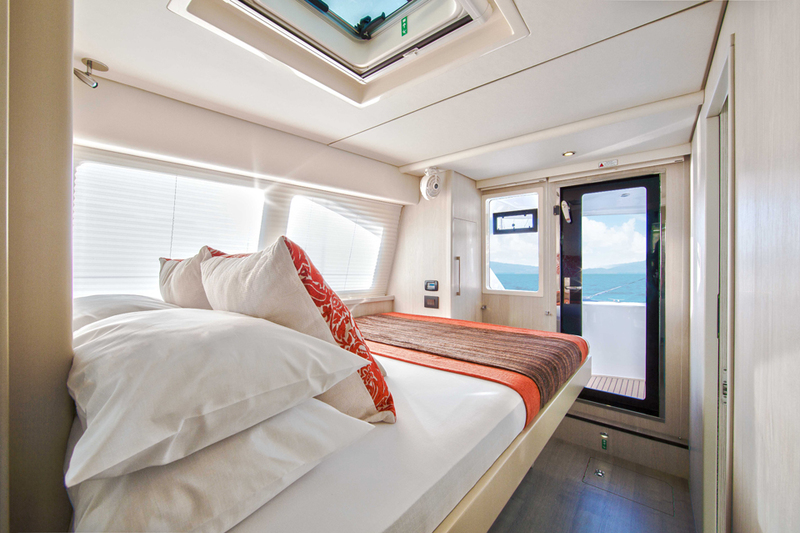 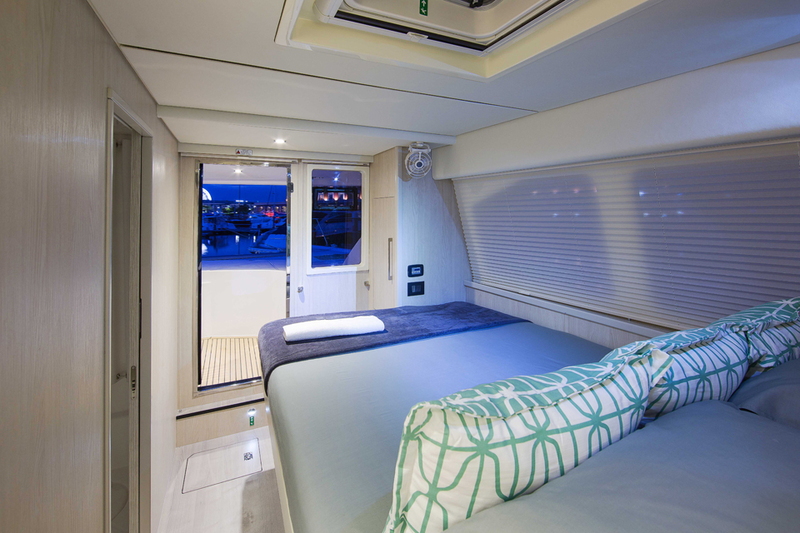 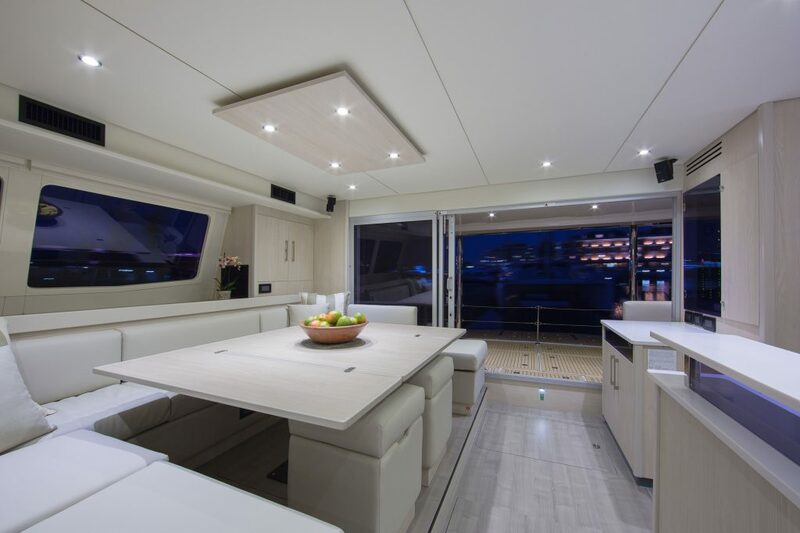 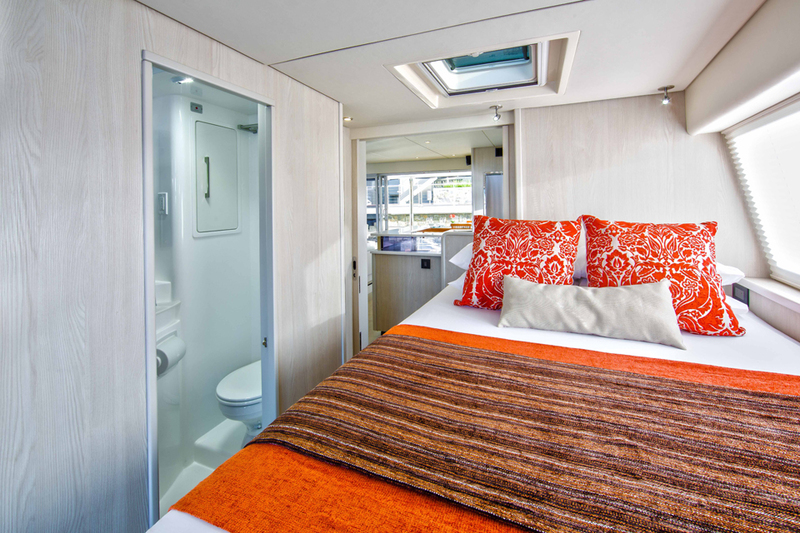 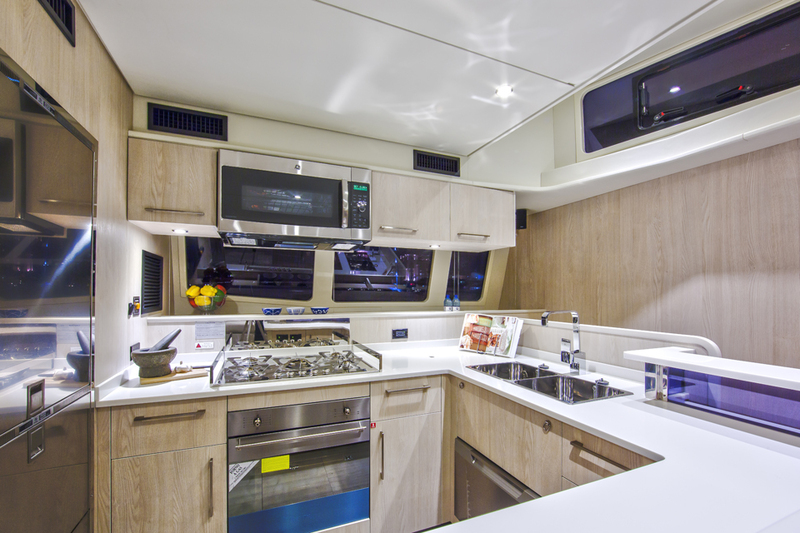 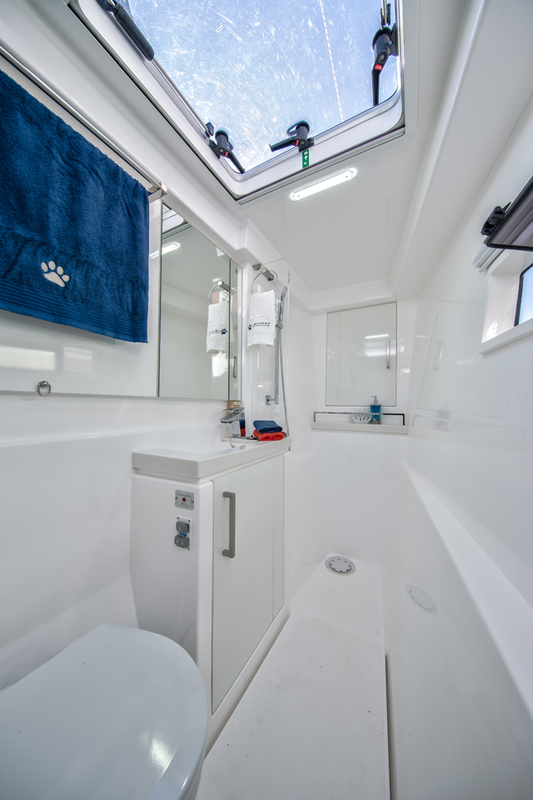 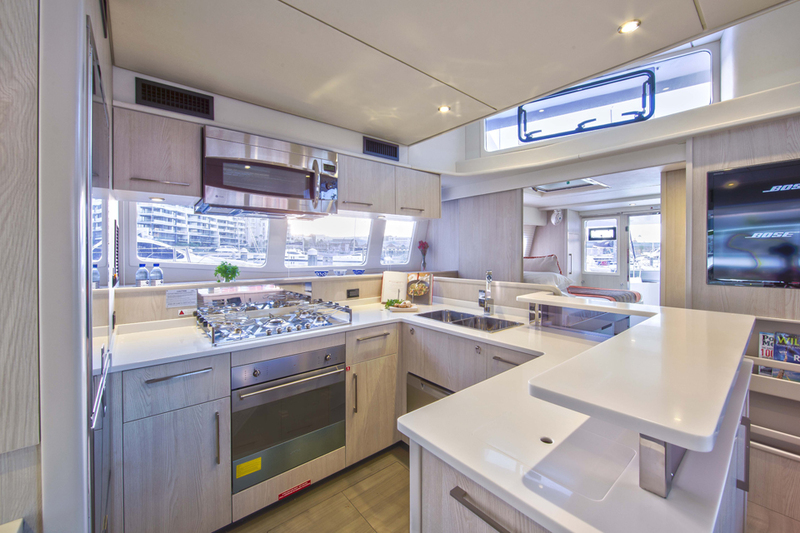 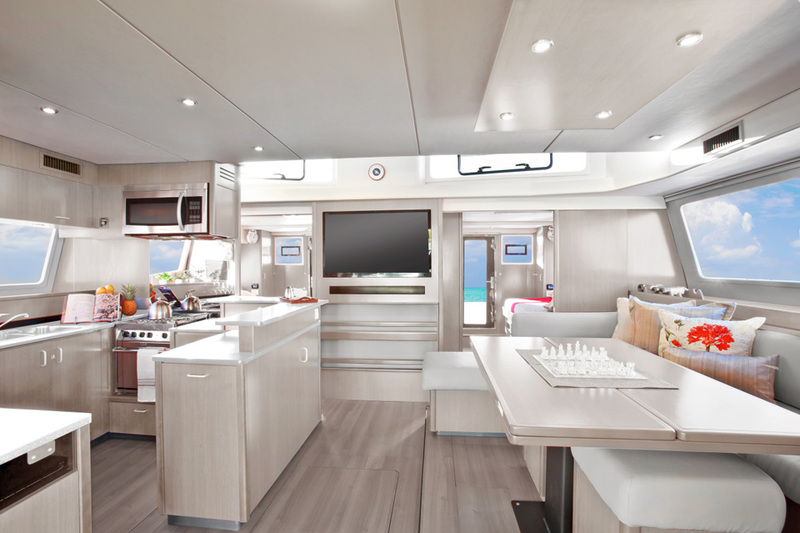 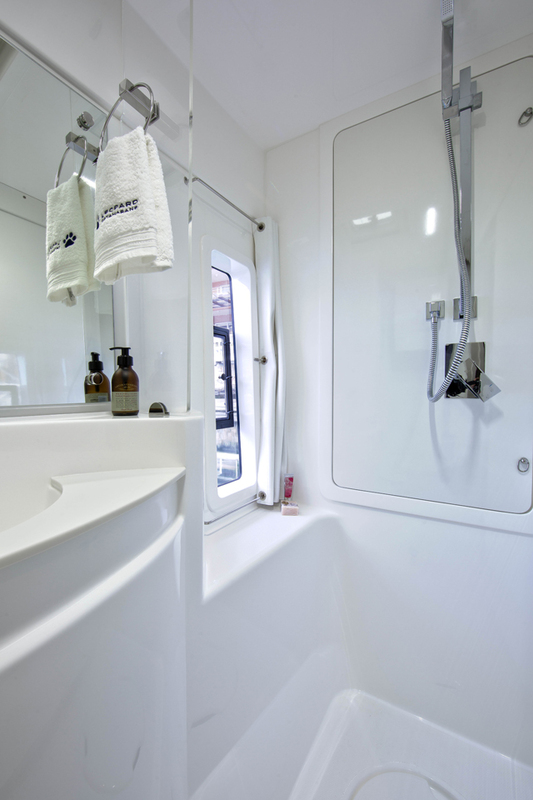 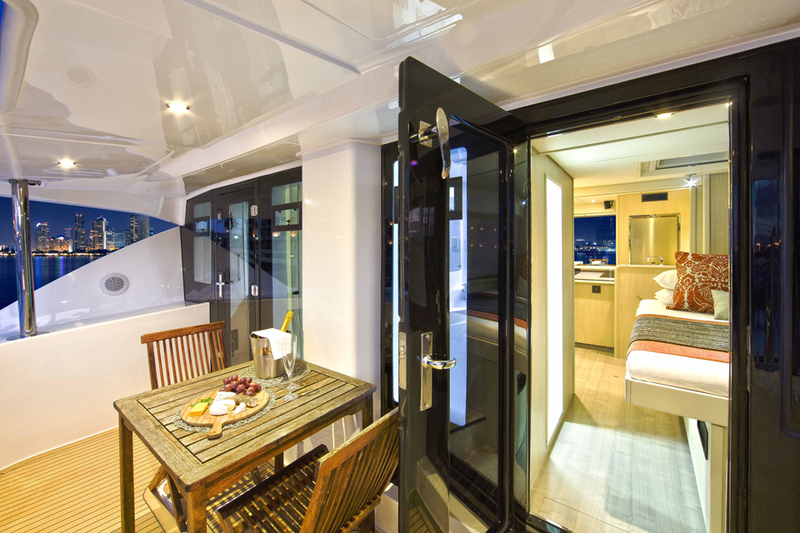 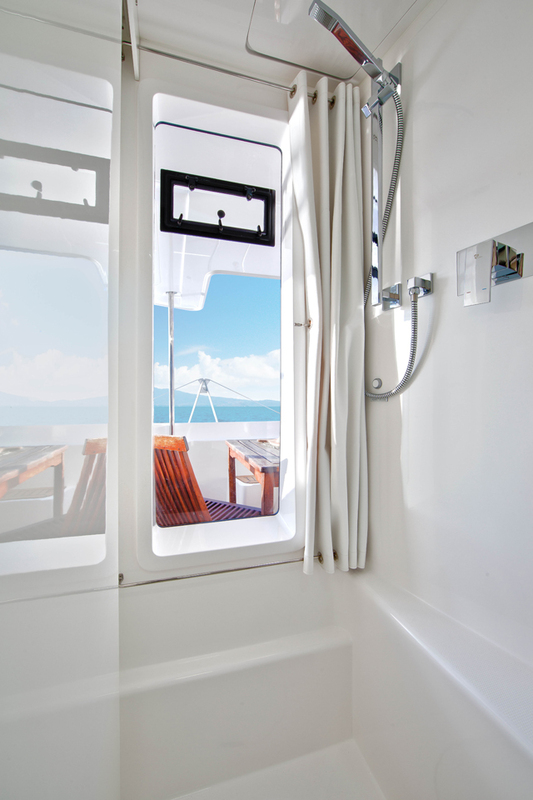 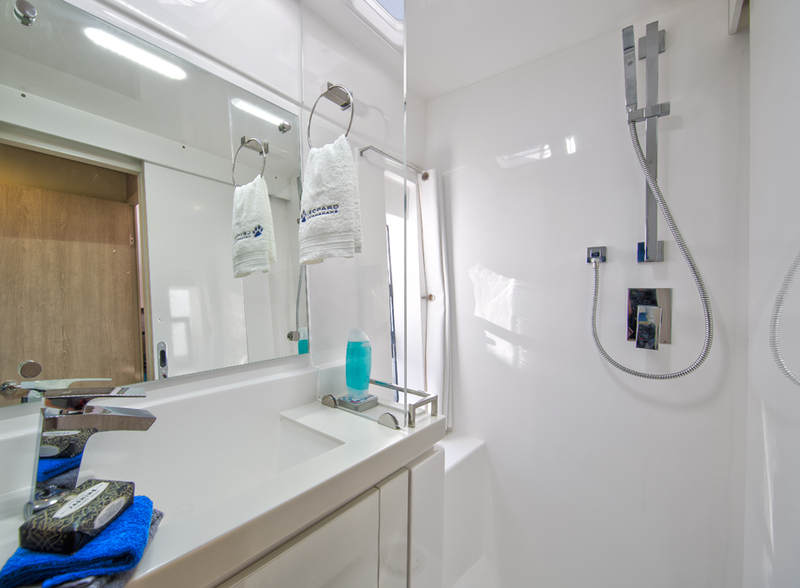 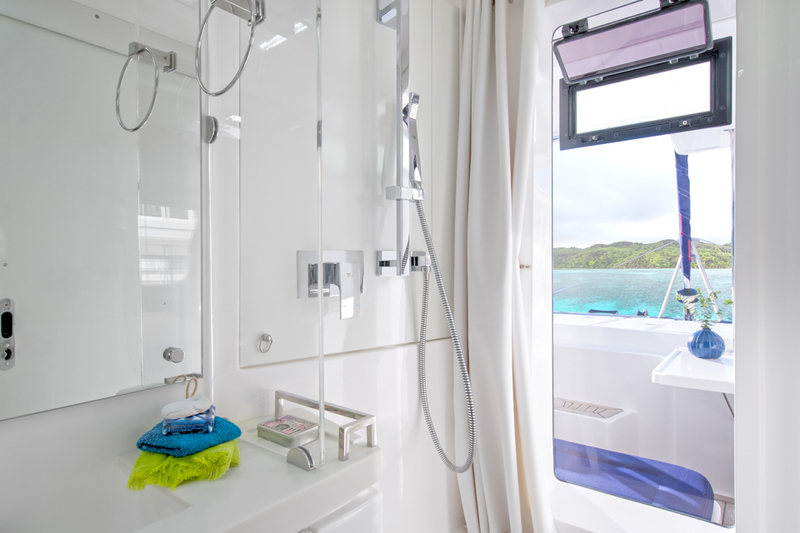 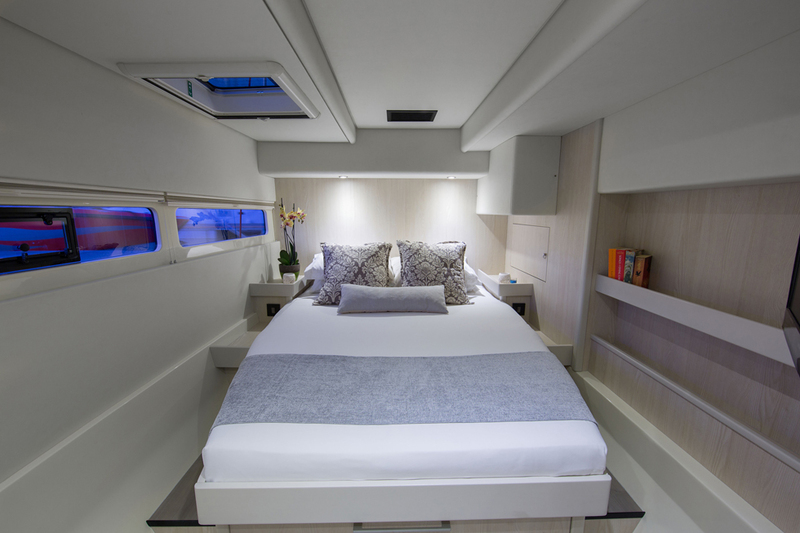 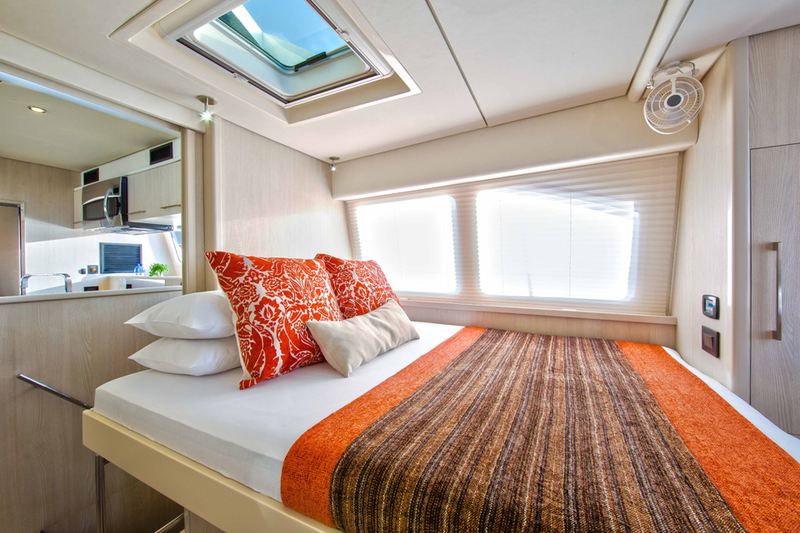 Poseidon's Pearl comfortably accommodates 8 guests in 4 cabins hosted by 5 crew. 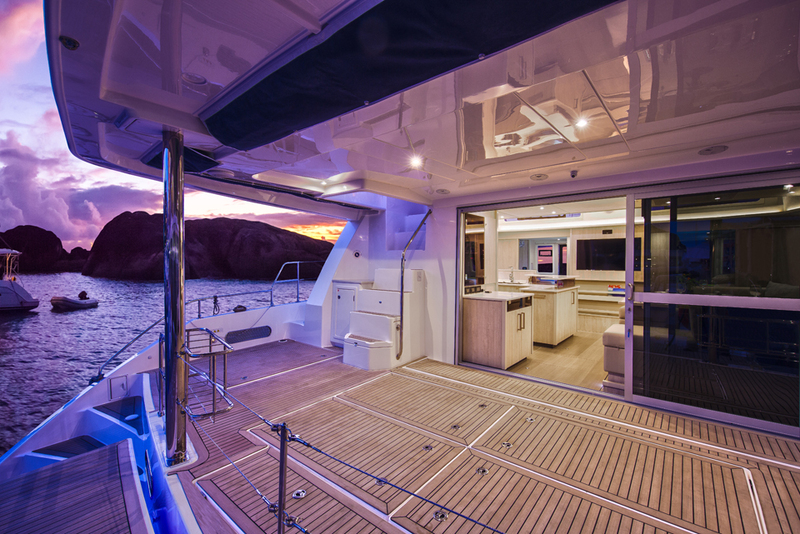 A large fly bridge features an unobstructed 360-degree view, complete with a bar and lounge. 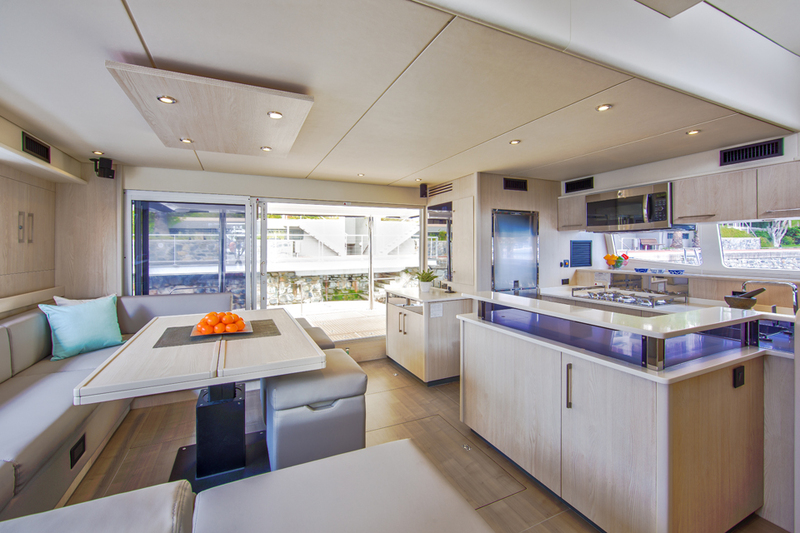 A covered stern dining space makes a perfect area to enjoy outdoor meals. 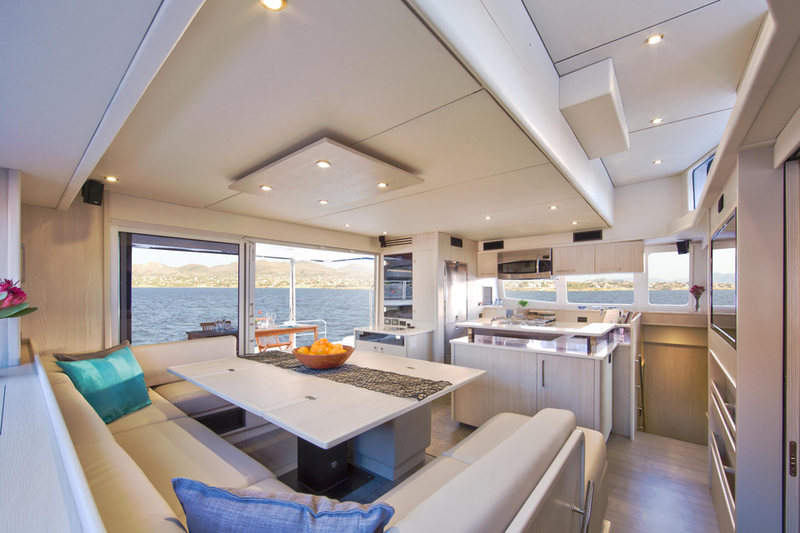 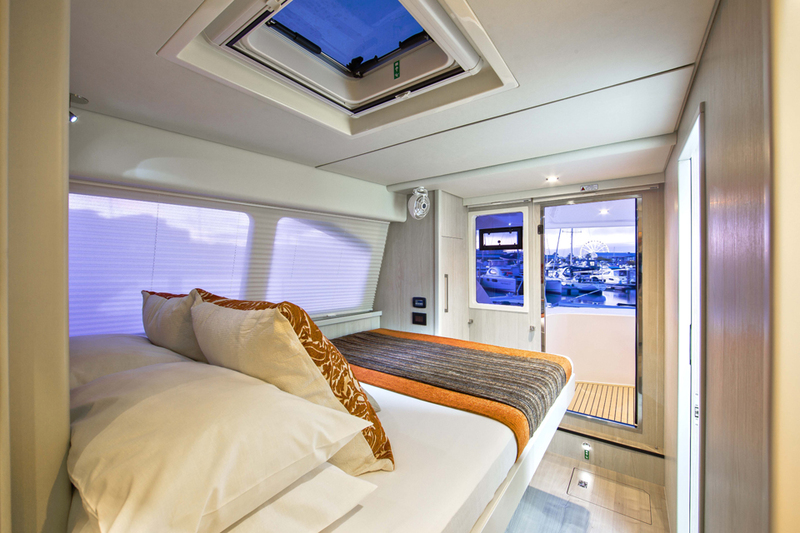 Bow trampolines and beanbag chairs create a soothing lounge above the water as you sail across to your new anchorage or lie back and star gaze. 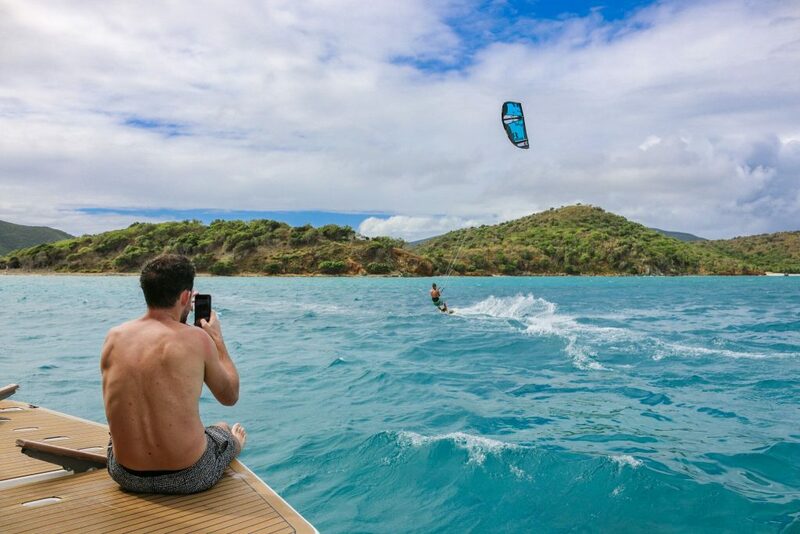 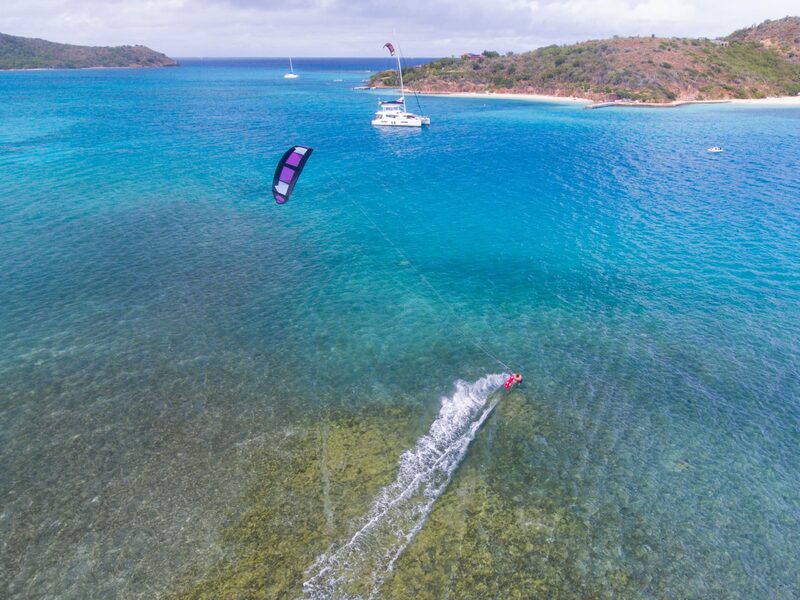 Poseidon's Pearl is fully equipped with Slingshot kiteboarding gear. 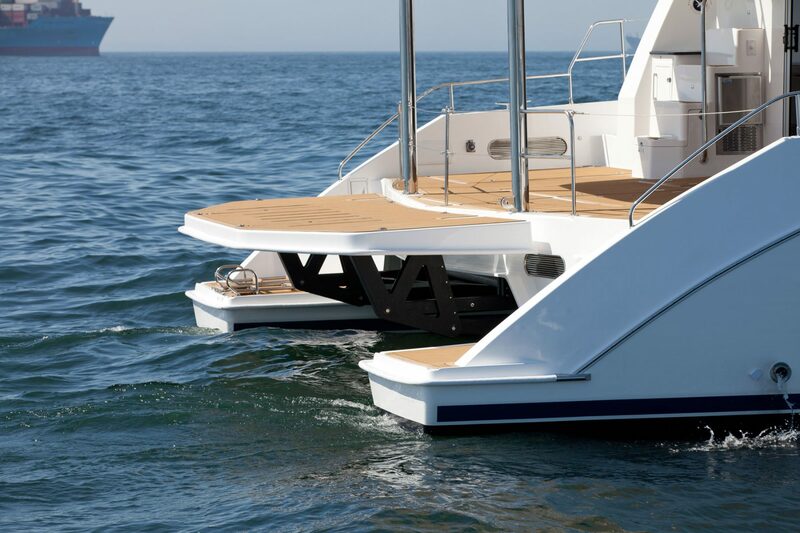 The large stern transom creates an easy spot to rig and launch kites off the back. 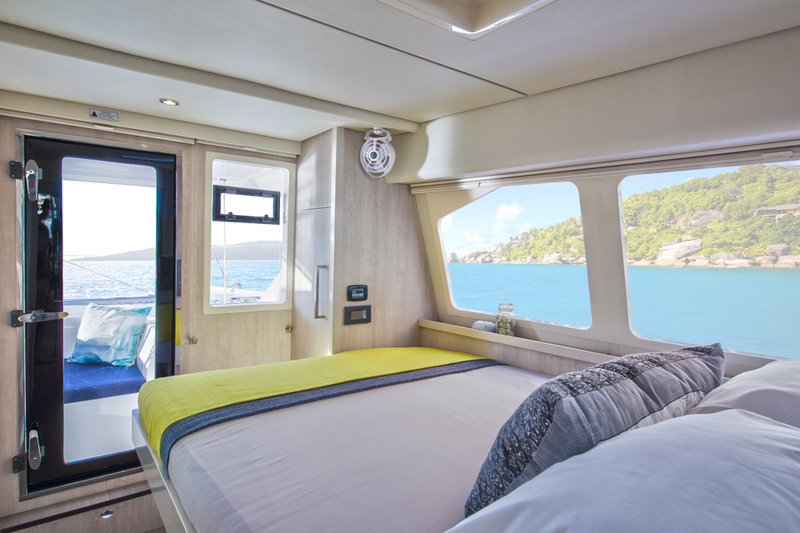 Wind Voyager coaches will provide boat-support and on the fly coaching with the 70hp tender, ensuring complete safety and comfort throughout the trip.